"There is no detective in England equal to a spinster lady of uncertain age with plenty of time on her hands." In this 2004 article from Mystery Scene, the late H.R.F. Keating (1926-2011) discusses one of the greats of the Golden Age of Mystery. 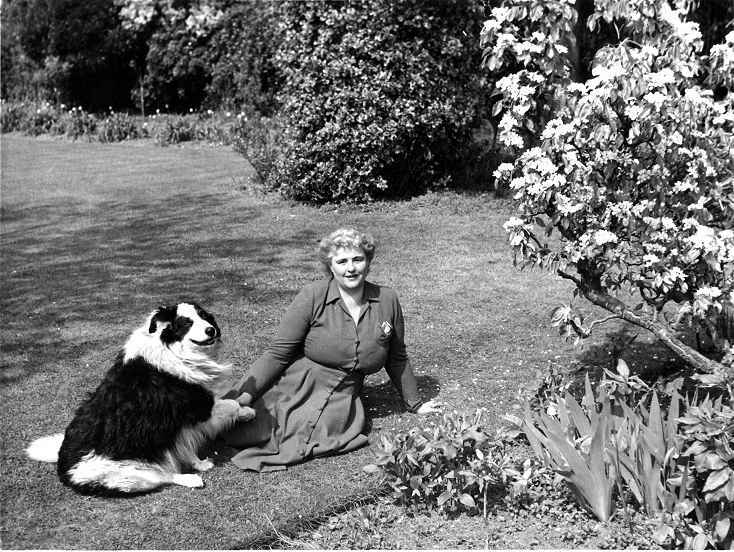 Left: Margery Allingham (1904-1966) in her garden. 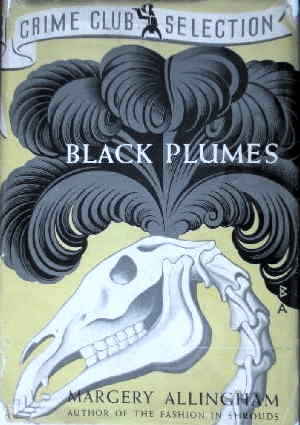 The best of Margery Allingham's work, like More Work for the Undertaker and The Tiger in the Smoke, well repay reading. And, as I well know, re-reading and re-reading. Opening my fresh-from-the-printer copy of Mysterious Pleasures, the anthology celebrating the 2003 50th anniversary of the Crime Writers' Association in Britain, I had intended—do all writers?—to flip through the crisp pages, ignore everything else, and gobble up my own new Inspector Ghote tale. But no. No, I saw that the first story culled from that half-century of members’ work was by Margery Allingham. Knowing what a marvellous writer she was, I gave “One Morning They’ll Hang Him” priority. I was not at all disappointed. The story is a puzzle of how a revolver used to shoot a nasty old lady had totally disappeared. This straightforward plot might seem to be something produced, years ago, for any magazine that would take it. However, the solution is every bit as ingenious and credible as anyone could expect of Allingham. And as I read, I found I was experiencing a deeper pleasure. What gave it to me was its constant vibrating with touches of truth, such as that nasty old lady shown to be sympathetically human, “not a mean old harridan...just quick-tempered.” Simple magazine tale though it initially appeared, the story was the work of a writer on a level with the best of any field. Both Albert Campion, Allingham’s hero, and the police detective who comes asking him to explain the inexplicably missing gun, may seem to do no more than fill the classic roles of Sherlock Holmes and Inspector Lestrade. But almost at once one finds they are human beings with all the complex feelings we humans actually have. They are not, as Holmes and Lestrade often were, cardboard figures lightly humanised. They are two people who, looking at the mess they are investigating, each in his own different manner, experiences depression at the way those involved have become tragically tangled up in a vicious web of real happenings. 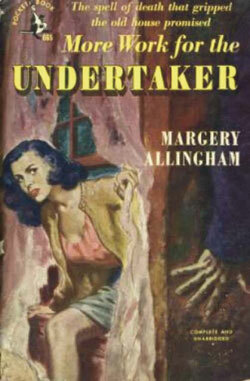 Inspired, I plucked from my shelves Margery Allingham’s perhaps crowning achievement More Work for the Undertaker. This was the novel that in 1948 reintroduced Campion, her sleuth from 1927 until Allingham’s death in 1966, to the post-war world. She made a new man of him. Gone were the trappings that had rendered him a sort of updated Scarlet Pimpernel, though he was still a character to whom Allingham brought all the energy of observation and brio with her characteristic command of the language. In place of that caricature-like figure (a sort of sub-Holmes) there came a man with “new lines on his over-thin face” and much of the “old misleading vacancy of expression” banished. He became, in fact, a male Allingham; shrewd, tough, compassionate. 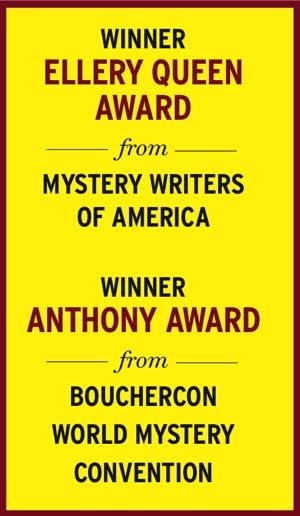 Wrapped deep in the pages, I recognised again the “marvelously rich stockpot of a book” I had written of when I selected it in 1987 as one of my choices for Crime and Mystery, the 100 Best Books. I found once more that gallery, if not galaxy, of characters in it who appear to be too large for life, like the impossibly smarmy funeral parlour owner Jas. Bowels, “nearly as decorative as a coach-and-four,” or the grotesquely multidressed old beggarwoman who turns out to be a charming botanical scholar. But before long you see them and all the rest of the gallery as altogether lifelike, if a bit skewed by the chance oddness of their circumstances. Throughout, too, you get that Allingham way with the English language, using, as P.D. James does (but with more desperately bursting energy), the full resources of our inherited tongue. “On the desk,” she writes, “the telephone squatted patiently.” It is as if she sees every inanimate object as alive. When Campion questions a subject his companion sees “alarm spread over him like a tide,” and then we see it too. But even as I revelled in those pages a dart of doubt entered my head. Not doubt about Allingham’s writing, but doubt about whether it may, wrongly, fail to receive its due as the years go by. Looking at the other names I had put among the 100 best, choices I still believe by and large to be valid, I picked out a good handful who are almost certainly scarcely known today to the average reader looking for a well-written mystery. How about Helen Eustis with her beautifully written psychological thriller of 1946, The Horizontal Man? And what about Margaret Millar’s two entries, Beast in View of 1955 and Beyond This Point Are Monsters of 1970? Is she almost forgotten? And even her husband, Ross Macdonald, whose 1970 book, The Blue Hammer, was my choice and who once made the front cover of Time magazine—how much now is he read? Will the fate that seems to have come to them come to Margery Allingham? Or has it already? Since her death most of her books have been reprinted in various formats (look in Penguin softback for her short novel The Case of the Late Pig), but how many of them will you find among the latest blockbusting bestsellers on the shelves of your bookshop or library? Were they, I wonder, too well-written? There was a British TV series, but it sank with little trace. Possibly this makes their fate as books problematical. Yet the best of them, like More Work for the Undertaker and The Tiger in the Smoke well repay reading. And, as I well know, re-reading and re-reading. Campion is a television show made by the BBC, adapting the Albert Campion mystery novels written by Margery Allingham. 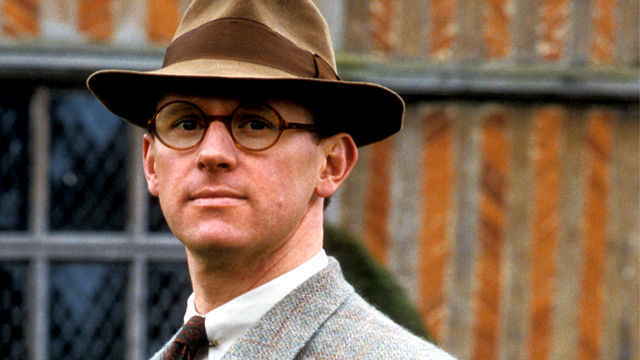 Two seasons were made, in 1989 and 1990, starring Peter Davison as Campion, Brian Glover as his manservant Magersfontein Lugg, and Andrew Burt as his policeman friend Stanislaus Oates. In 1996, H.R.F. Keating (31 October 1926 – 27 March 2011) received the Cartier Diamond Dagger for lifetime achievement from the Crime Writers’ Association. In addition to his highly regarded literary criticism, he was also the creator of the Inspector Ghote series. His last novel is A Small Case for Inspector Ghote?. This article first appeared in Mystery Scene Spring Issue #84.